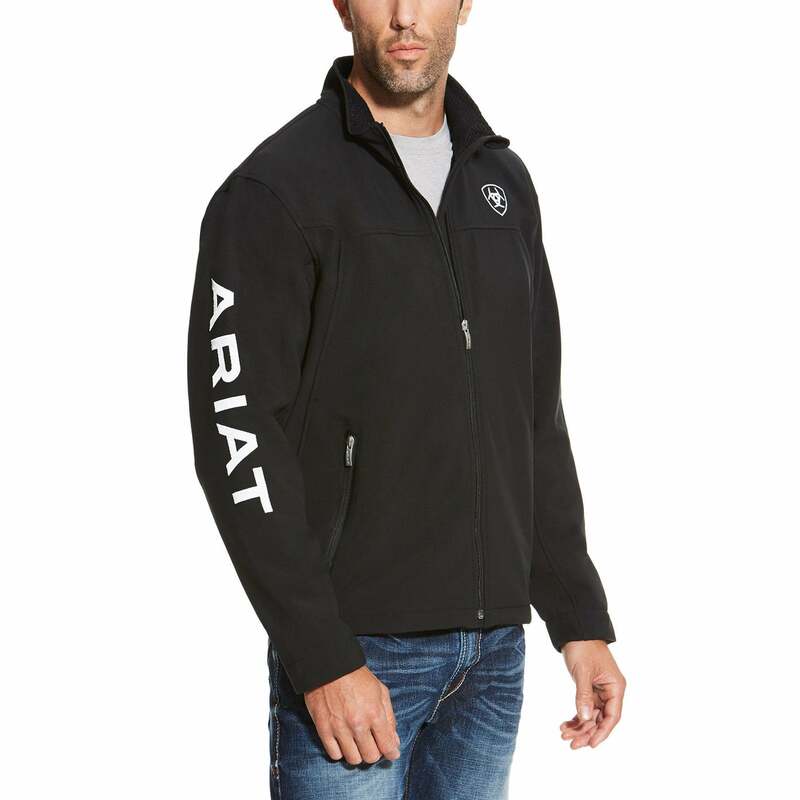 The Ariat Mens New Team Softshell Jacket is the ideal everyday outerlayer that offers practicality as well as performance. Made from a smooth twill softshell, which is both wind and water resistant, alongside microfleece backing for wearer comfort and warmth. Combining functional features such as a mock collar and zippered hand pockets with smart colour block and logo detailing that coordinates with the rest of the Ariat Team Collection. This lightweight jacket ensures comfort and flexibility, making it perfect for hacking, training and working in.